There is no updates as of yet if Apple is going to do something about the problem or not. There are rumours circling around stating Apple will be releasing an update, IOS 4.1, that will supposedly fix the issue regarding the antenna. Apple is selling ‘Bumpers’ which are their own rubber cases for the new IPhone 4 that ultimately will avoid the issue regarding the integrated antennas causing loss of service. As soon as any new information arises, we’ll keep you updated. The main features included are a brand new beautiful design, a retina display which features 960×640 resolution, a front facing camera for face calling, a 5 mp camera with LED flash, as well as the ability to record videos in picture perfect 720p. Facetime allows iPhone users to video chat with one another by simply calling the user, and pressing the facetime button where the hold button once was. Facetime, at the moment, can only be done over wifi through iPhone to iPhone. Eventually, I believe iPhone users will be able to use this feature over the 3g network once Apple has reach agreements with the service providers. The iPhone 4 was announced at this years WWDC which was held on June, 7-11. 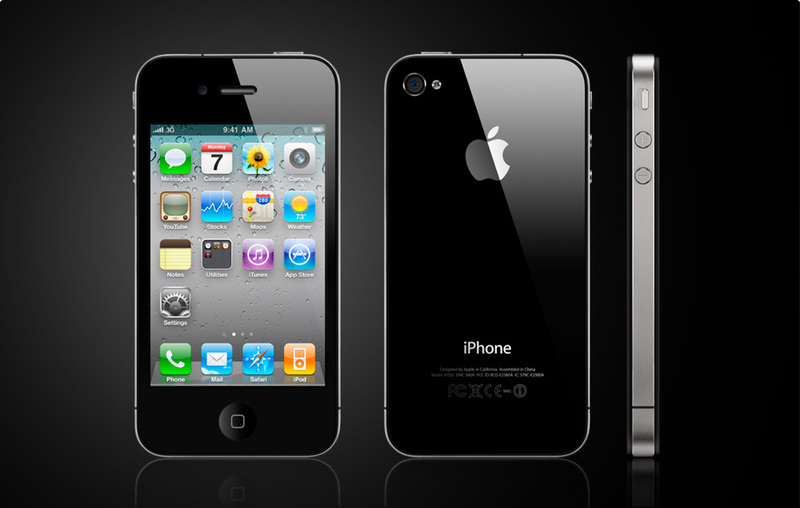 Steve Jobs wasted no time whatsoever and on the first day of the event, introduced the world to the brand new iPhone 4. Many new already the new features the iPhone 4 would offer due to Gizmodo releasing videos and pictures of the stolen prototype. Although the official release was today, videos have already been posted regarding an issue with the reception of the phone when holding it in your hand. The antenna of this iPhone is integrated within the stainless steel casing of the smartphone, which is a case of genius engineering. But, does it actually offer better reception and service than the previous IPhone models? It seems the service begins to decrease when holding the phone in a way that covers the sides where the integrated antenna is placed. Now, only a few have confirmed the issue is apparent, while most users have announced nothing wrong with the phone whatsoever. I am anticipating the day I hold possession of my iPhone 4, which is shortly, and will let you guys know if the problem has occurred or not.